Way back in 2014 Lexus last updated the big GX460 SUV. At the time, it got the brand’s new spindle grille and a few other minor tweaks so that it at least fit in with the rest of the portfolio. That said, the bulk of today’s GX dates all the way back to circa 2009, and it shows. The GX is basically an off-roading dinosaur in modern Lexus clothing. 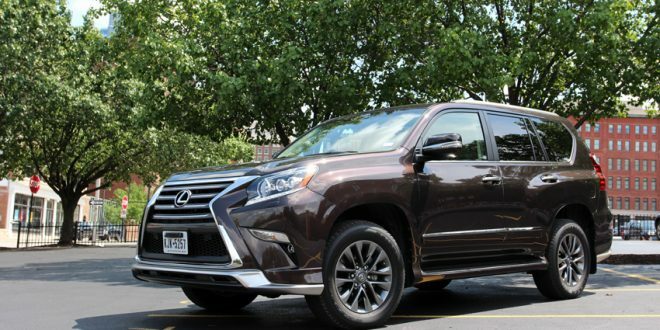 Let’s start with what the Lexus GX460 does well, and that’s off-roading. Sharing its bones with the Toyota Land Cruiser, this is one of the few remaining luxury SUVs that actually has some serious off-road credentials. It starts with a center-locking differential and the ability to have the suspension push down opposing wheels when one leaves the ground, for better grip. It can also take over low-speed crawling entirely on behalf of the drivetrain and brakes, so the driver only has to steer. The respectable hardware is paired with the practicality of aggressive approach and departure angles, along with a healthy 8.1-inches of ground clearance. For the few who want to take their $70,000 Lexus crawling, the GX460 is more than ready and will hold its own just fine. Powering these off-road adventures is Toyota’s 4.6-liter V-8 engine with 301 horsepower and 329 pound-feet of torque. This power flows through an appropriately-antiquated six-speed automatic transmission. We give this powertrain combination props for being remarkably smooth, but it falls short on performance. It’s enough juice to send the GX460 to 60 mph in about 7.6 seconds, significantly less than say a Cadillac Escalade, which does it in just under 6.0 seconds. That said, the duo works together well, with the transmission always eager to downshift, making up for its lack of additional gears and power. The power deficit could be overlooked if it translated to superior fuel economy, but that’s not the case. The GX is rated at 15 mpg city and 18 mpg highway, painfully low by modern standards. Our tested found those ratings to be nearly spot on; we averaged 16 mpg in the beast in mixed driving conditions. Given the GX’s respectable off-road focus, it comes as little surprise that on-road performance suffers. Overall ride quality is best described as pillowy; it’s remarkably smooth and coddles passengers in comfort, which is a side effect of significant suspension travel for off-roading. Its steering rack is also cushy, with virtually no road feedback in the rack and an easy, numb feeling devoid of on-center guidance that used to be common on pickup trucks. Brake feel is equally numb and oftentimes feels inadequate to stop this massive SUV. On or off road, the interior of the GX460 isn’t a terrible place to be. Like its exterior, the interior design is dated and feels sort of 1990’s vintage. The old school feel is no more apparent with its eight-inch touchscreen display in the center stack, which houses graphics and a user interface that feel extremely dated. Equally, there’s a monochromatic display in the gauge cluster that we haven’t seen in a modern vehicle for some time. The display is surrounded by gloss wood trim and soft-touch materials; while high in quality, they reek of Lexus of the 1990’s. Passengers will be greeted with comfortable seats wrapped in high-quality Semi-Aniline leather for all and a cabin that is Lexus quiet. Riders will be let down by a general lack of modern features, such as support for only two USB ports, no oversized sunroof and no heated rear seats. Front seat passengers have heated thrones, while the driver also has a heated steering wheel. Overall packaging inside the GX460 is also dated. With bulky shapes and a shallow cargo area, the GX lacks the storage and interior space that its sheer size would suggest. Much like the amenities, the GX460 also lacks some modern active safety features. Our $70,000 tester lacked adaptive cruise control and a surround-view camera. Fortunately, all GX460’s come standard with 10 airbags Lexus, Enform telematics system and a rear-view camera. 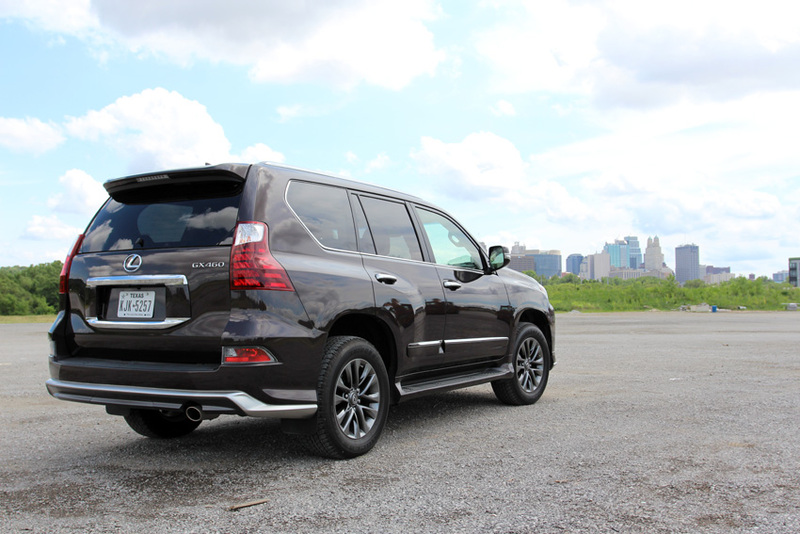 We walked away from our week with the GX460 wondering who the target audience is for this SUV. It has clear off-road credentials, rooted in its standard Torsen full-time four-wheel-drive system, but it lacks in almost every other category possible. Throw in the fact it gets terrible fuel economy and starts over $60,000, it’s tough to recommend the GX460 to anyone. Those wanting an off-roader that can haul the family will probably find the much cheaper Toyota 4-Runner a better option, and it has more ground clearance to boot. Those wanting a proper luxury SUV without the off-road bits have a host of options to select from, including the Lincoln Navigator, Cadillac Escalade and Mercedes-Benz GLS. It’s probably best to leave this dinosaur to those who simply want to spent $70,000 on a rock-crawler. Way back in 2014 Lexus last updated the big GX460 SUV. At the time, it got the brand’s new spindle grille and a few other minor tweaks so that it at least fit in with the rest of the portfolio. That said, the bulk of today’s GX dates all the way back to circa 2009, and it shows. The GX is basically an off-roading dinosaur in modern Lexus clothing. Let’s start with what the Lexus GX460 does well, and that’s off-roading. Sharing its bones with the Toyota Land Cruiser, this is one of the few remaining luxury SUVs that actually has some serious off-road credentials. It starts with a center-locking differential and the ability to have the suspension push down opposing wheels when one leaves the ground, for better grip. It can also take over low-speed crawling entirely on behalf of the drivetrain and brakes, so the driver only has to steer. The respectable hardware is paired with the practicality of aggressive approach and departure angles, along with a healthy 8.1-inches of ground clearance. For the few who want to take their $70,000 Lexus crawling, the GX460 is more than ready and will hold its own just fine. Powering these off-road adventures is Toyota’s 4.6-liter V-8 engine with 301 horsepower and 329 pound-feet of torque. 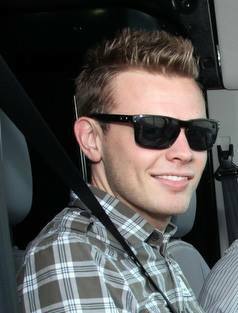 This power flows through an appropriately-antiquated six-speed automatic transmission. We give this powertrain combination props for being remarkably smooth, but it falls short on performance. It’s enough juice to send the GX460 to 60 mph in about 7.6 seconds, significantly less than say a Cadillac Escalade, which does it in just under 6.0 seconds. That said, the duo works together well, with the transmission always eager to downshift, making up for its lack of additional gears and power. The power deficit could be overlooked if it translated to superior fuel economy, but that’s not the case. The GX is rated at 15 mpg city and 18 mpg highway, painfully low by modern standards. Our tested found those ratings to be nearly spot on; we averaged 16 mpg in the beast in mixed driving conditions. Given the GX’s respectable off-road focus, it comes as little surprise that on-road performance suffers. Overall ride quality is best described as pillowy; it’s remarkably smooth and coddles passengers in comfort, which is a side effect of significant suspension travel for off-roading. Its steering rack is also cushy, with virtually no road feedback in the rack and an easy, numb feeling devoid of on-center guidance that used to be common on pickup trucks. Brake feel is equally numb and oftentimes feels inadequate to stop this massive SUV. On or off road, the interior of the GX460 isn’t a terrible place to be. Like its exterior, the interior design is dated and feels sort of 1990’s vintage. The old school feel is no more apparent with its eight-inch touchscreen display in the center stack, which houses graphics and a user interface that feel extremely dated. Equally, there’s a monochromatic display in the gauge cluster that we haven’t seen in a modern vehicle for some time. The display is surrounded by gloss wood trim and soft-touch materials; while high in quality, they reek of Lexus of the 1990’s. Passengers will be greeted with comfortable seats wrapped in high-quality Semi-Aniline leather for all and a cabin that is Lexus quiet. Riders will be let down by a general lack of modern features, such as support for only two USB ports, no oversized sunroof and no heated rear seats. Front seat passengers have heated thrones, while the driver also has a heated steering wheel. Overall packaging inside the GX460 is also dated. With bulky shapes and a shallow cargo area, the GX lacks the storage and interior space that its sheer size would suggest. Much like the amenities, the GX460 also lacks some modern active safety features. Our $70,000 tester lacked adaptive cruise control and a surround-view camera. 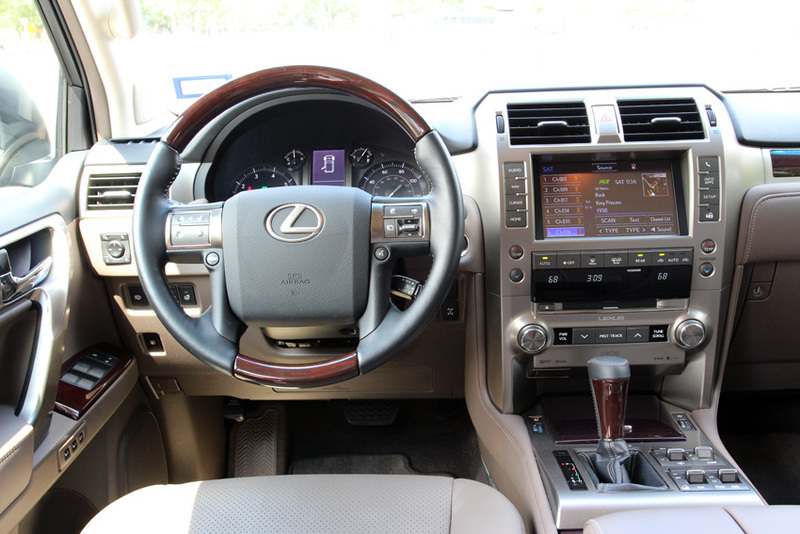 Fortunately, all GX460’s come standard with 10 airbags Lexus, Enform telematics system and a rear-view camera. 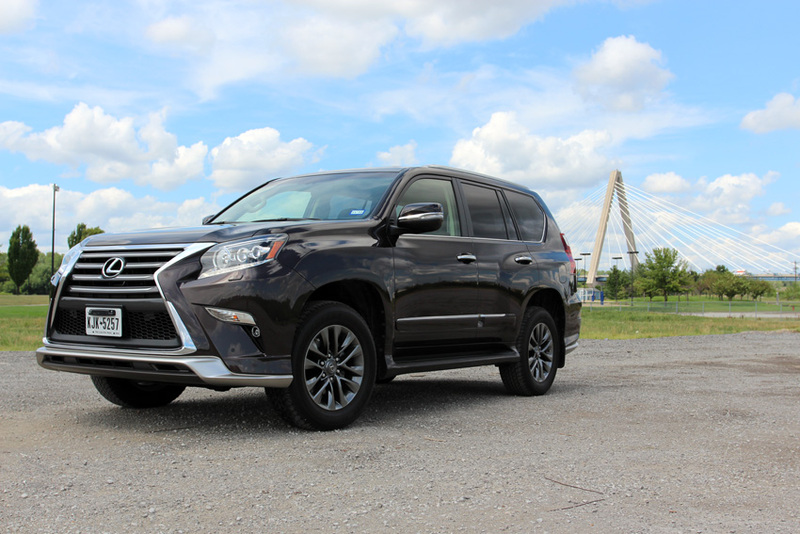 We walked away from our week with the GX460 wondering who the target audience is for this SUV. It has clear off-road credentials, rooted in its standard Torsen full-time four-wheel-drive system, but it lacks in almost every other category possible. Throw in the fact it gets terrible fuel economy and starts over $60,000, it’s tough to recommend the GX460 to anyone. Those wanting an off-roader that can haul the family will probably find the much cheaper Toyota 4-Runner a better option, and it has more ground clearance to boot. Those wanting a proper luxury SUV without the off-road bits have a host of options to select from, including the Lincoln Navigator, Cadillac Escalade and Mercedes-Benz GLS. It’s probably best to leave this dinosaur to those who simply want to spent $70,000 on a rock-crawler. Summary: An extremely antiquated luxury SUV with some serious off-roading ability.